BEACH HOUSE – Teen Drama w/DVD (sub pop) – They created a video for every song on the album. Lyrics on the zebra themed liner notes. DUM DUM GIRLS – I Will Be (sub pop) – All female lo-fi garage pop acts’ first album for Sub Pop and their cleanest sounding release yet. Seems to have a slight Siouxsie Sioux sound on “Oh Mein Me” otherwise it’s on par with Dum Dum Girls previous EPs. Includes a new version of “Yours Alone” and a Sonny Bono cover of “Baby Don’t Go.” They will be playing Bro Fest on March 21st. Album due out March 30th. 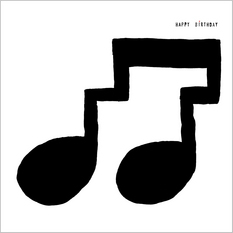 HAPPY BIRTHDAY – S/T (sub pop) – Something other than Phish and Ben & Jerry’s from the whitest state in the Union… Vermont. Buzzed about pop trio creates youthful, catchy sing-a-long rock songs reminiscent of summertime with your friends. Fronted by Kyle of King Tuff. 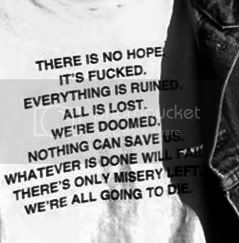 Lyrics included on liner notes. Album out today. LOVVERS – OCD Go Go Go Girls (wichita) – UK punk trio’s 2nd album. MALE BONDING – Tour EP (self) – Five track cover song EP the band put together on Sub Pop cdrs for their first US Tour. Only 50 copies made; covers’ of GG Allin, Mission of Burma, Flipper, Blur and Baby Gecko. RED SPAROWES – The Fear is Excruciating, But Therein Lies the Answer (sergeant house) – The third full-length and most stunning release yet from heavy instrumental quintet Red Sparowes. Melodic and extraordinarily dramatic, The Fear is Excruciating . . . is another epic album for fans of Pelican and Russian Circles. Album due April 6th. Playing at Lola’s in Fort Worth on April 1st w/ Doomriders & Maleveller. TINSEL TEETH – Trash as the Trophy (load) – Due out in April, this Female fronted HC band from Providence likes to create chaos and get naked. Playing Bro Fest 2010 on Sunday. Album due out mid-April. VIVIAN GIRLS – My Love Will Follow Me 7” (wild world) – Features cover of “He’s Gone” by the Chantals. WHITE MICE – Ganjahovahdose (20buck spin) – Marijuana influenced laboratory mice theme noise rock from Providence, RI. Playing Bro Fest 2010 on Sunday. V/A – MEXICAN SUMMER 2010 – Mexican Summer & Waterloo Records compilation featuring acts with impending releases on Mexican Summer this year. SPINDRIFT – The Legend of God’s Gun CD and DVD (tee pee/indican pictures) – Rotating band members from as little as five to as large as eight, Spindrift creates “haunting and hallucinogenic” psychedelic western themed rock music and their own accompanying film, with additional music by Low Flying Owls and Gram Rabbit. Playing at City Tavern on April 26th. SPINDRIFT – The West (beat the world) – Features active and former members of Brian Jonestown Massacre and Darker my Love. SPINDRIFT – Goin’ Down 12″ (vacancy) – Four song EP for fans of Brian Jonestown Massacre and The Dandy Warhols. This entry was posted on March 17, 2010 at 1:31 pm, filed under News and tagged Recently Acquired.